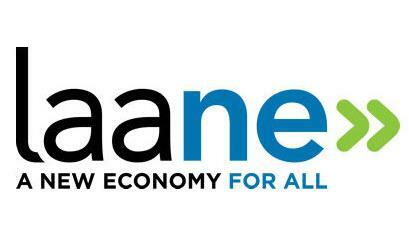 Founded in 1993, LAANE (Los Angeles Alliance for a New Economy) is a nationally recognized advocacy organization dedicated to building a new economy for all. Combining dynamic research, innovative public policy, and strategic organizing of broad alliances, LAANE promotes a new economic approach based on good jobs, thriving communities, and a healthy environment. For the past 25 years, LAANE has been at the forefront of Los Angeles’ progressive movement, transforming conditions in key industries and improving the lives of hundreds of thousands of working families in southern California. LAANE’s groundbreaking policy wins and new approach to economic development have been a model for similar efforts across the country. LAANE is a co-founder of the Partnership for Working Families, a rapidly growing national alliance fighting for good jobs and healthy communities in nearly 20 major metropolitan areas.